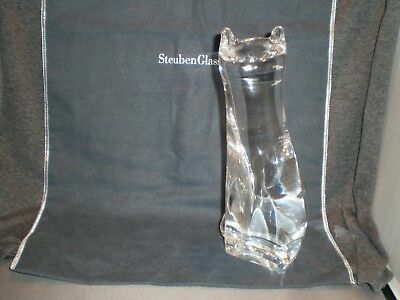 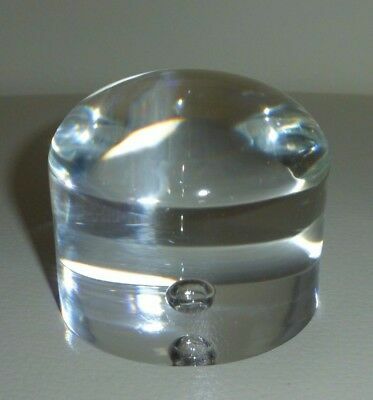 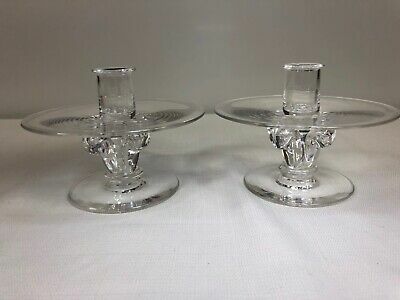 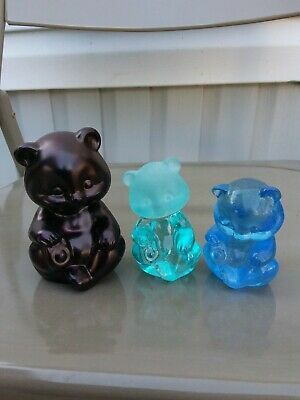 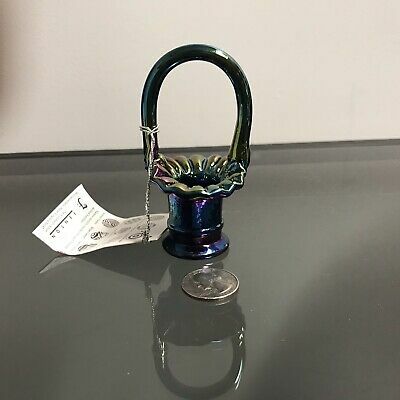 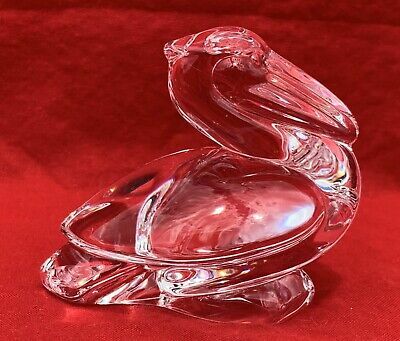 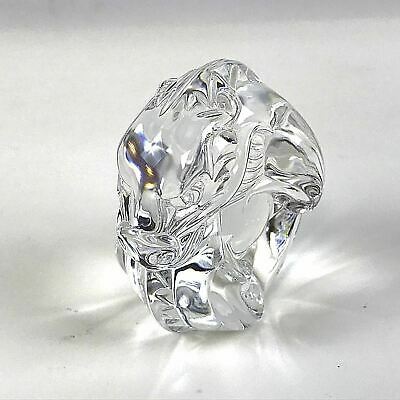 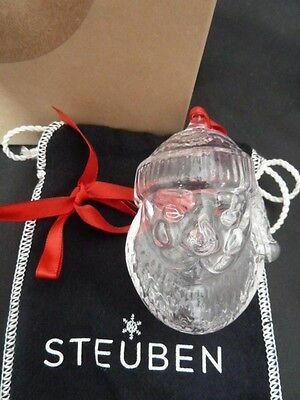 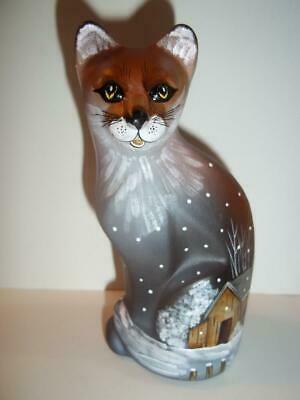 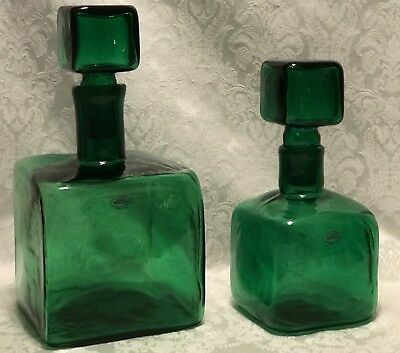 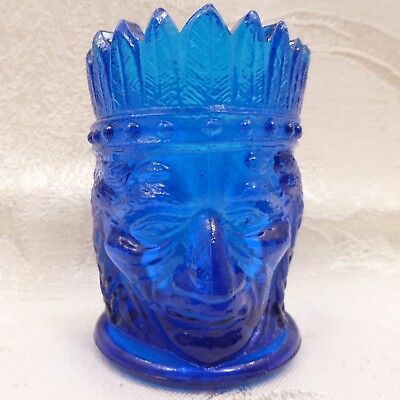 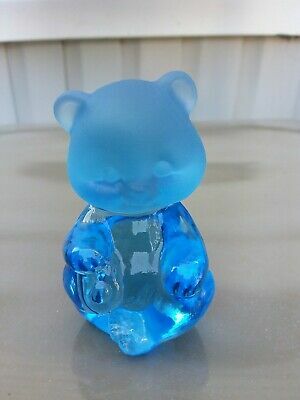 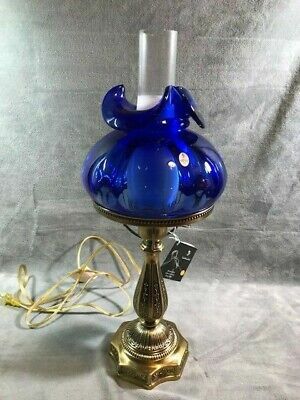 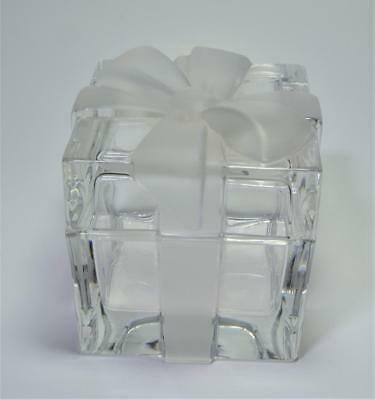 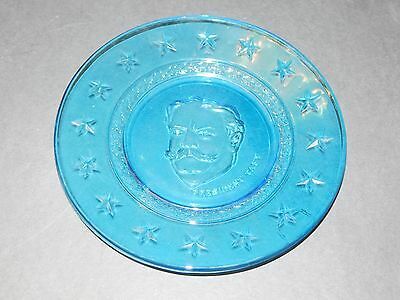 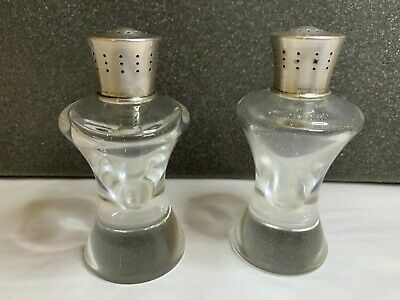 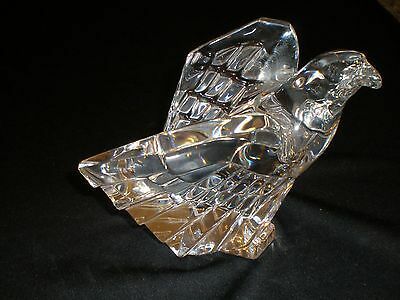 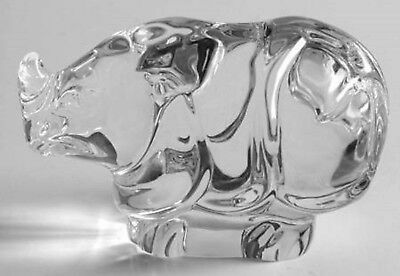 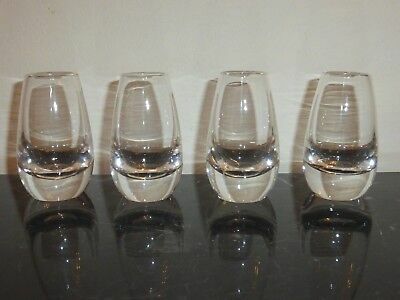 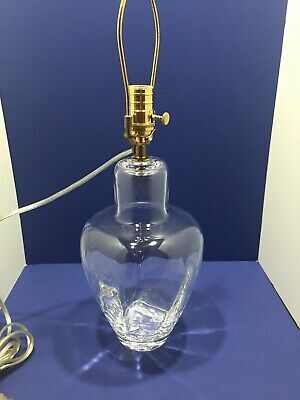 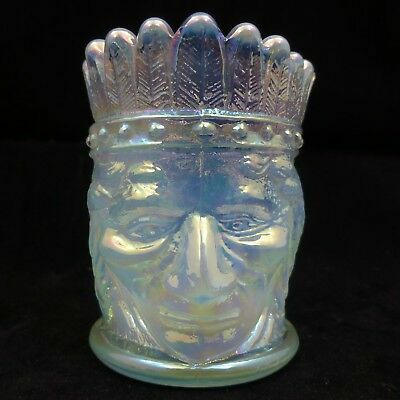 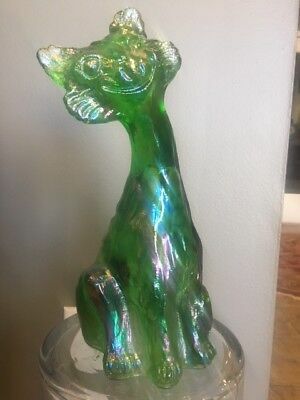 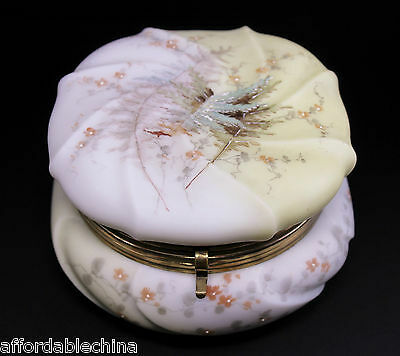 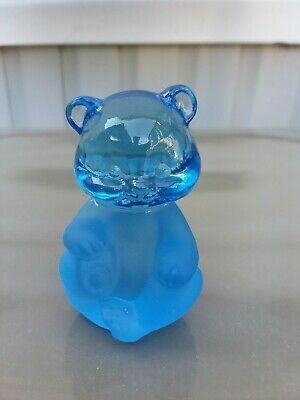 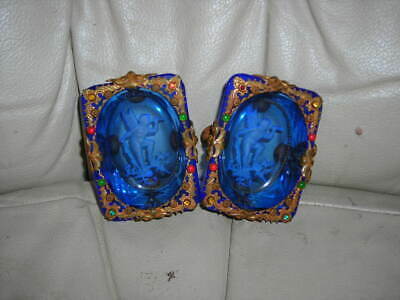 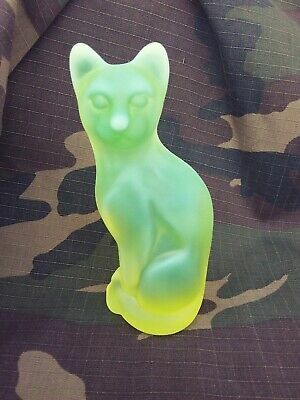 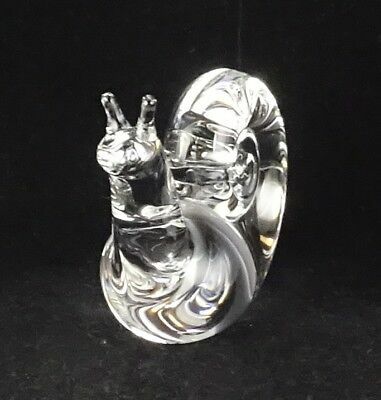 STEUBEN GLASS Roman Cat Hand Warmer Paperweight #8389, MINT CONDITION! 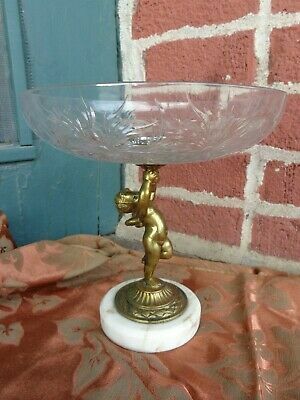 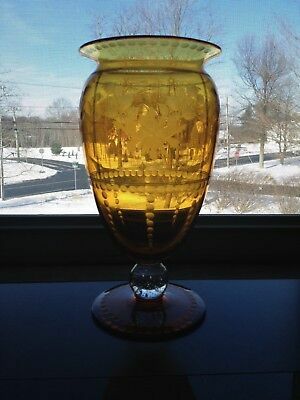 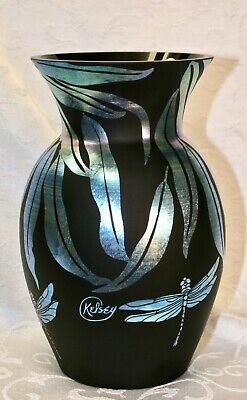 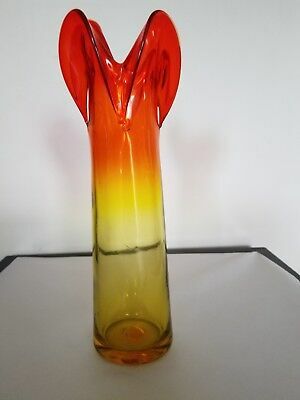 Large Victorian Amberina Tall Swirled Vase W/Applied Amber Ruffled Top 10 1/2"
Fenton, Vase, Ebony Favrene Glass, Kelsey Murphy, Dragonflies, Limited Edition. 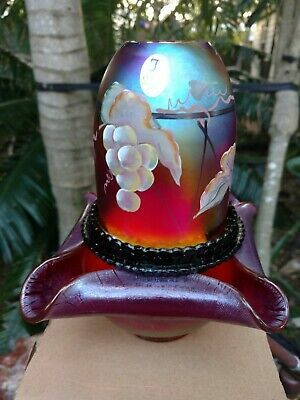 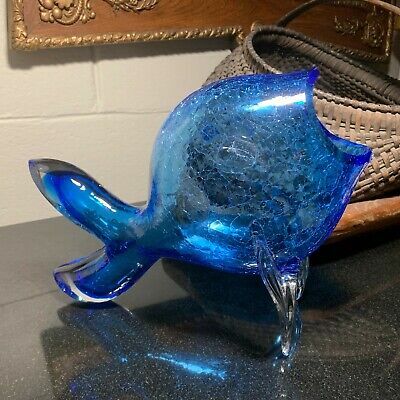 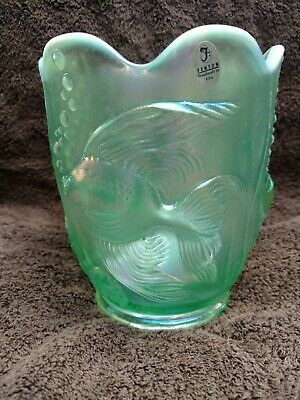 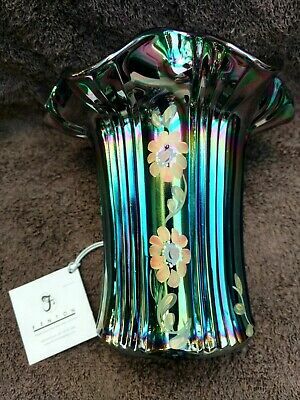 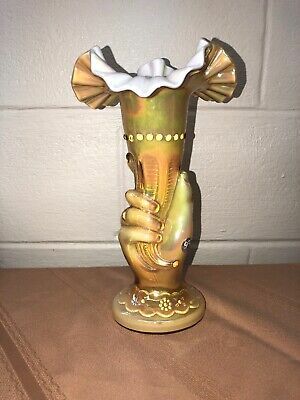 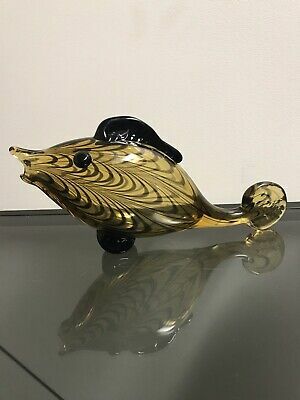 Fenton Art Glass Dave Fetty Original Fish Signed 1999. 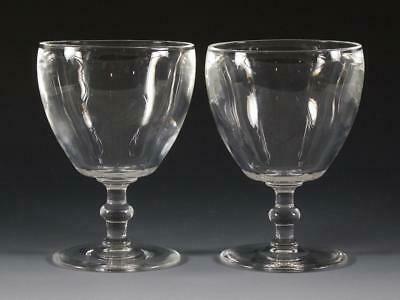 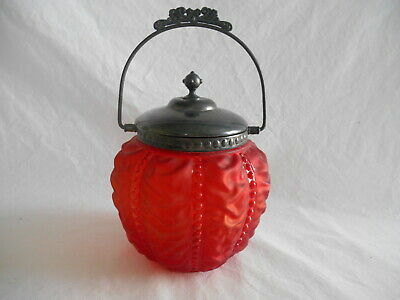 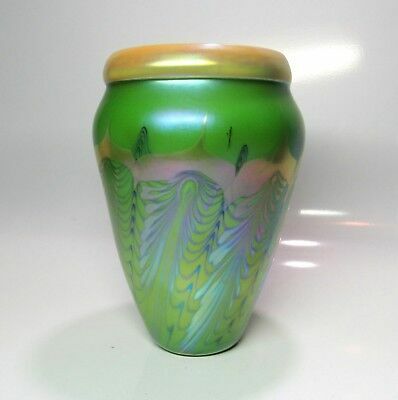 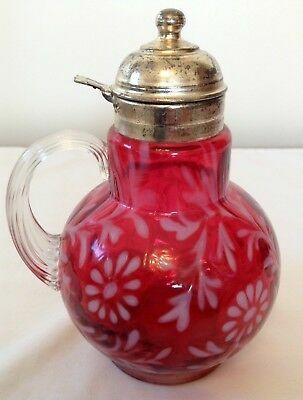 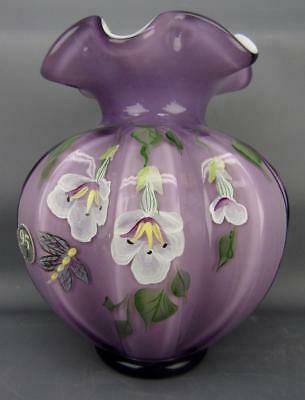 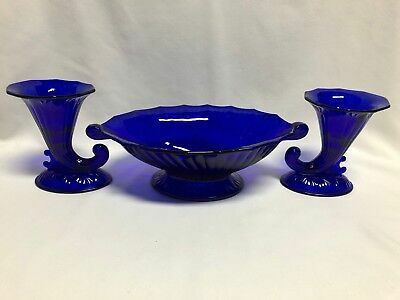 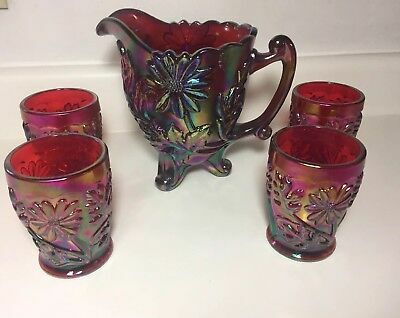 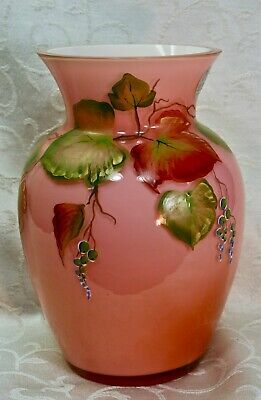 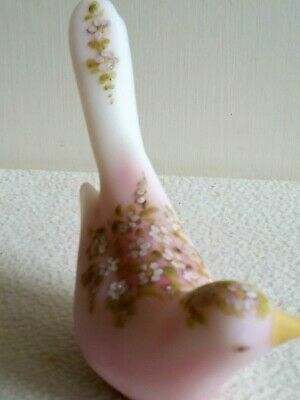 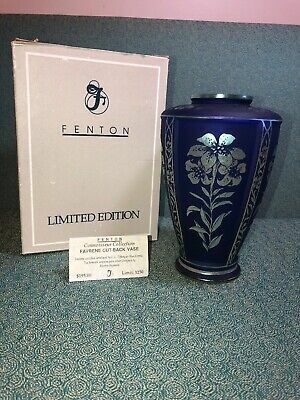 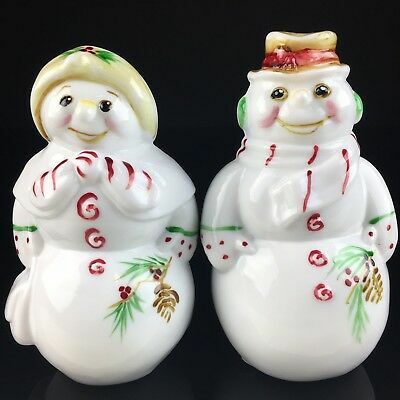 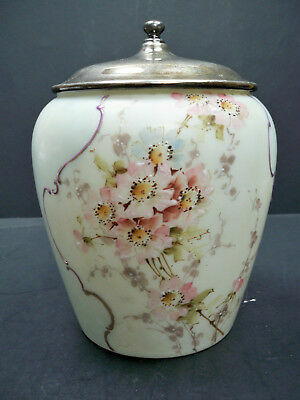 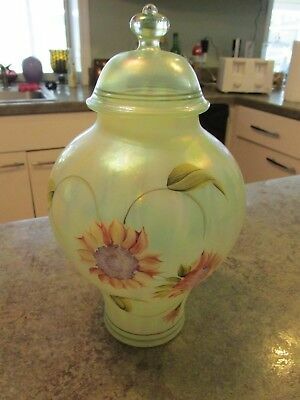 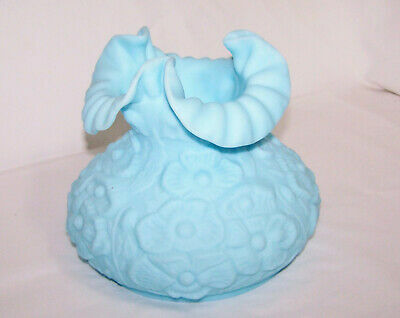 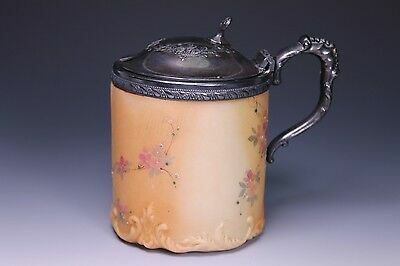 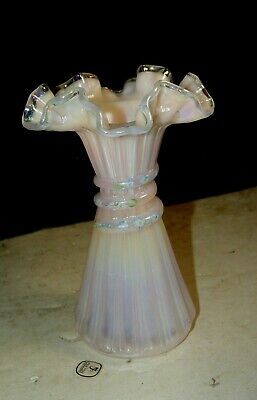 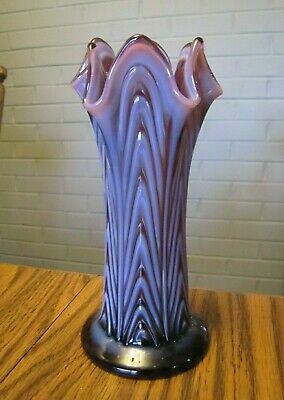 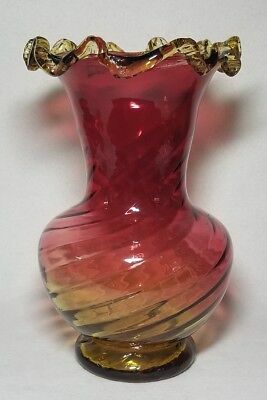 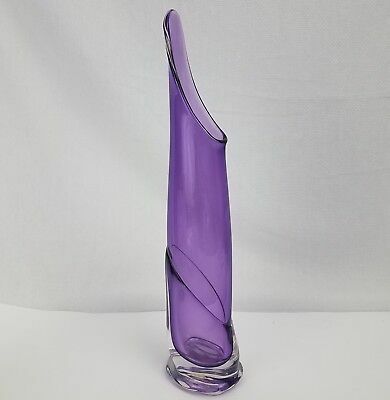 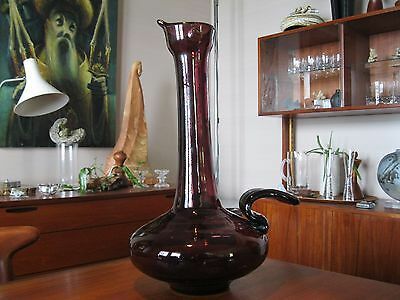 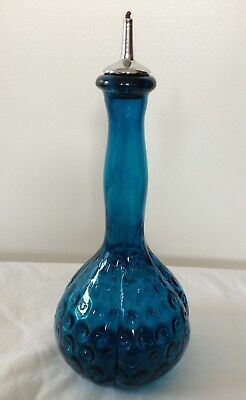 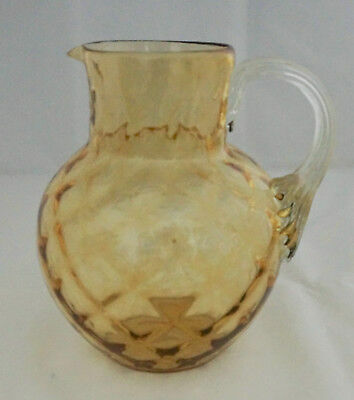 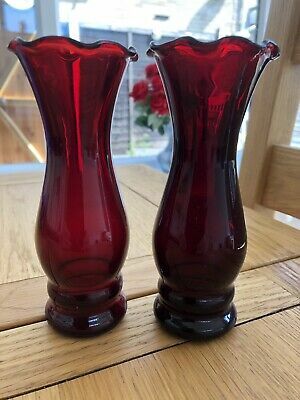 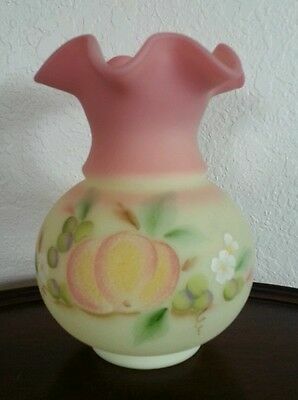 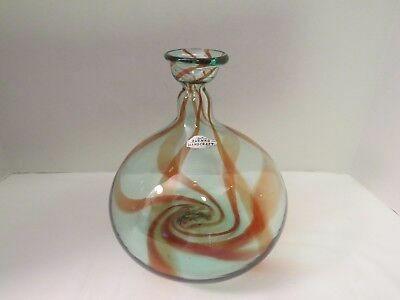 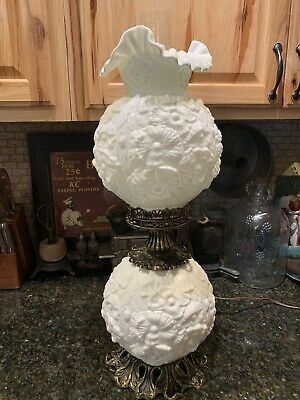 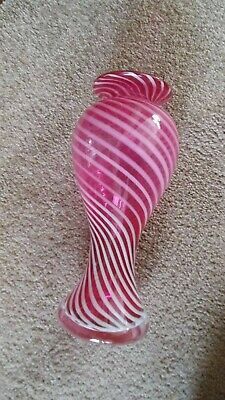 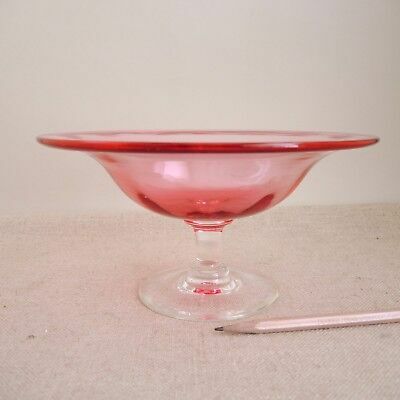 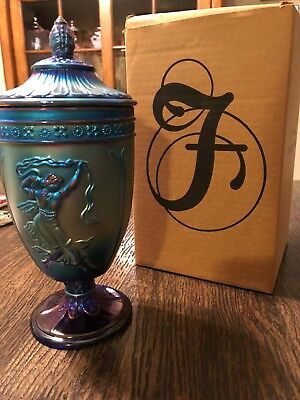 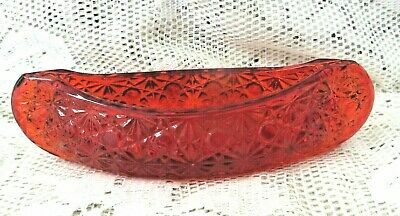 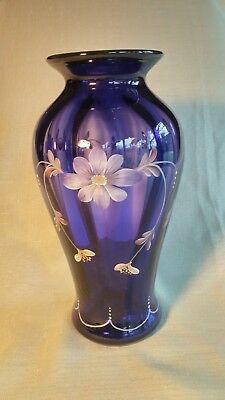 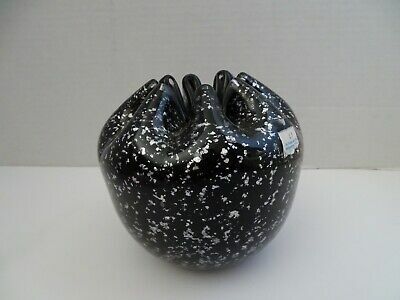 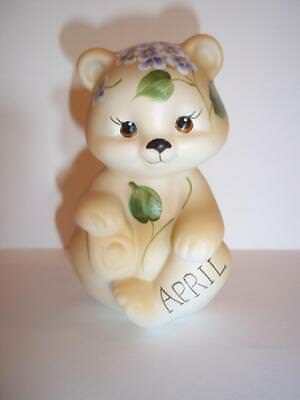 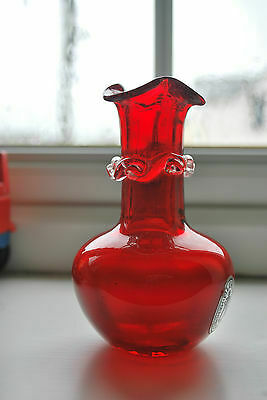 Fenton, Vase, Coral Overlay, Centennial Collection 2002, Limited Edition. 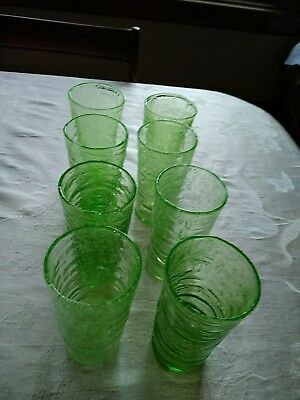 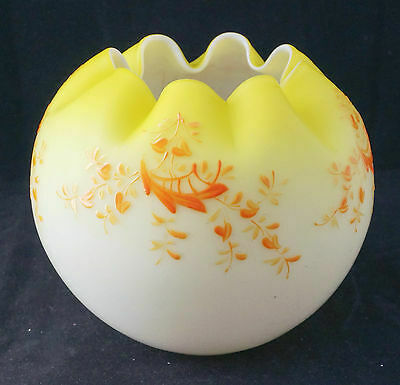 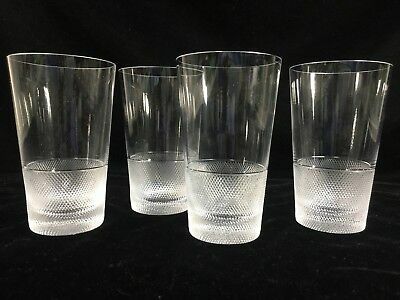 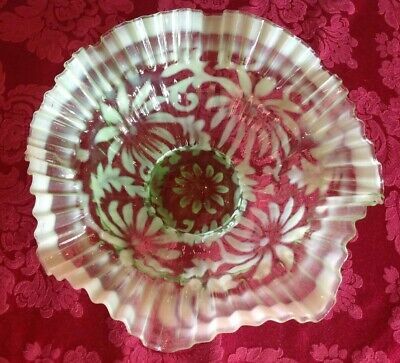 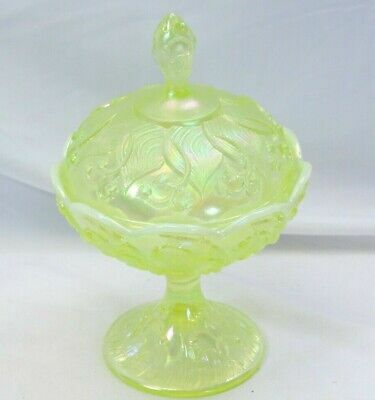 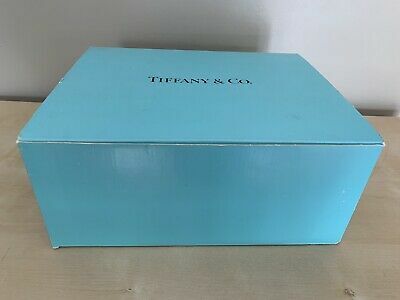 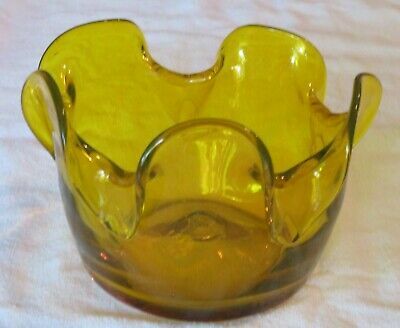 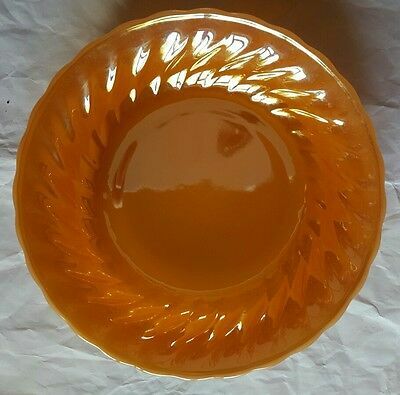 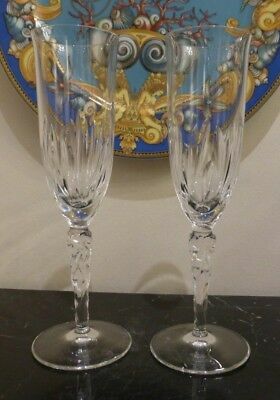 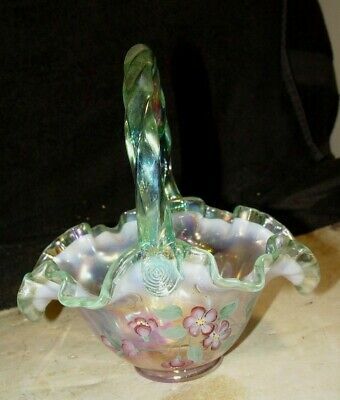 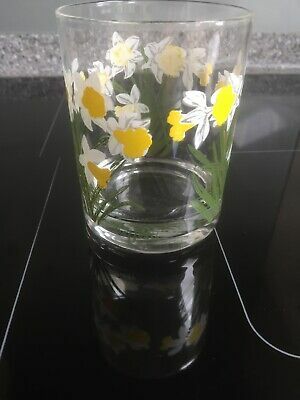 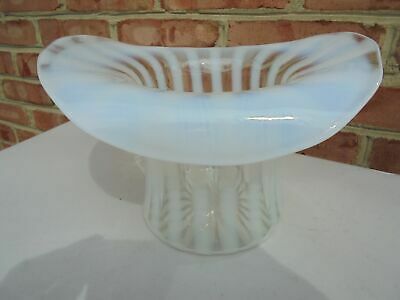 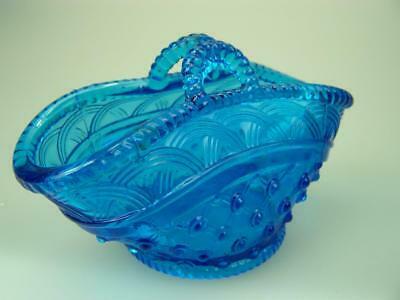 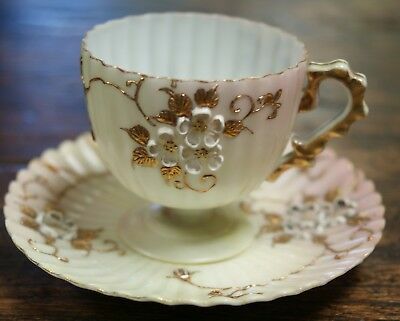 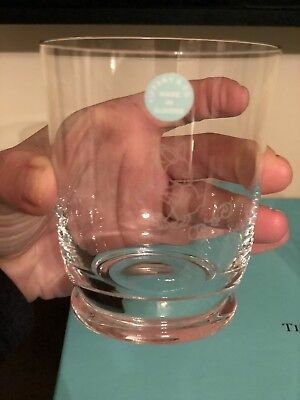 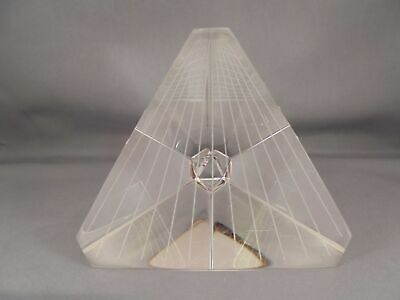 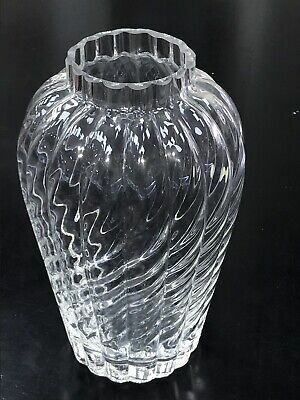 Tiffany & Co Crystal Optic Swirl Pattern Flower Vase 10"
Beautiful Pairpoint Glass Citrine Engraved Floral Vase 11 5/8"
Fenton Lily of the Valley Candy Dish Yellow Topaz Vaseline Opalescent 9.5"